Deep into the most anticipated movie of the year, two central characters—one old, one new—are on a desperate mission and in a very tight spot. That pretty much sums up the lofty expectations placed on the movie, as well. The first new Star Wars film in nearly a decade, the seventh in the franchise, and the first since Disney bought the rights from founding father-director-creator George Lucas, it comes cloaked in secrecy and with a mothership of baggage. Diehard fans have been waiting for it for years. Speculation has been building for months. What will J.J. Abrams, the director of two Star Trek movies, bring to it—or do to it? It’s expected to be the biggest box-office moneymaker of the year, if not the decade, and maybe of all time. So people—and perhaps the whole the galaxy—are indeed counting on this new Star Wars, and I don’t think they’ll be disappointed. It’s got everything any fan could want: powerful nostalgia, exciting new characters, rousing action, stirring emotion, spectacular scenery, eye-popping effects, and a plot that threads things that happened decades ago with things unfolding now—and points to things yet to come. You probably already know that several iconic actors return. 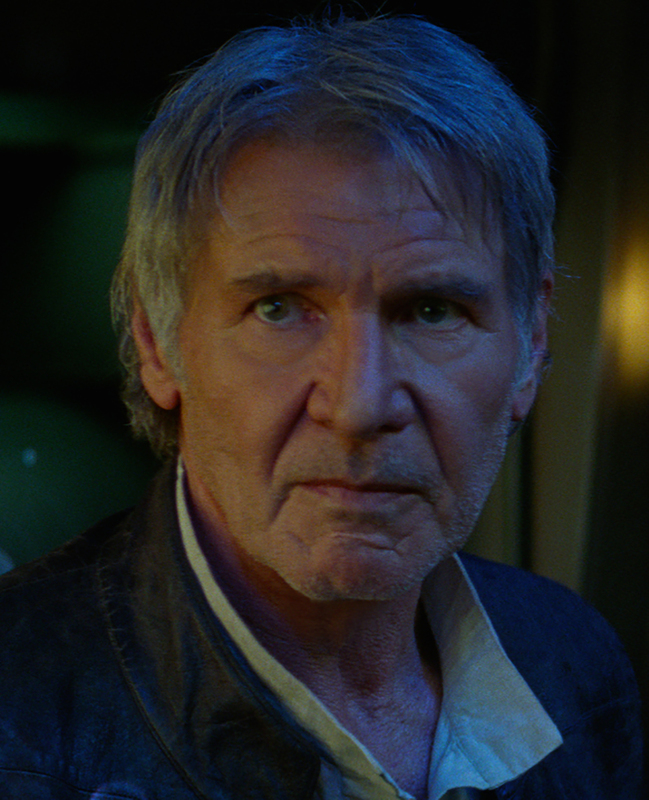 Harrison Ford’s Han Solo is still the coolest space cowboy of all time. Princess Leia (Carrie Fisher) has become a general. And Jedi legend Luke Skywalker (Mark Hamill)…well, everybody spends most of the movie looking for Luke, and so will you. You’ll delight in seeing some very familiar other things again—X-Wings and TIE Fighters, the Millennium Falcon, two particular droids, a tall, hirsute biped and one very special light saber, in particular. And you’ll hear a couple of familiar phrases, too. And there are some very impressive newcomers, as well. 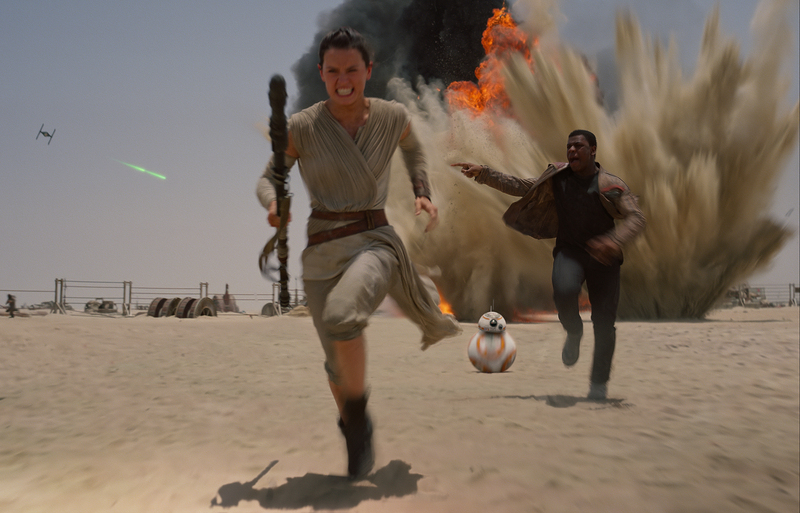 British actress is Daisy Ridley is terrific as Rey, a spunky junk scavenger on a desert planet who becomes a major player on a much larger stage—and provides young female Star Wars fans a rockin’ role model the likes of which they’ve never had before. Newcomer John Boyega makes a fine leading man as Finn, a stormtrooper who defects when his conscience won’t let him continue to fight for a cause he knows is wrong. 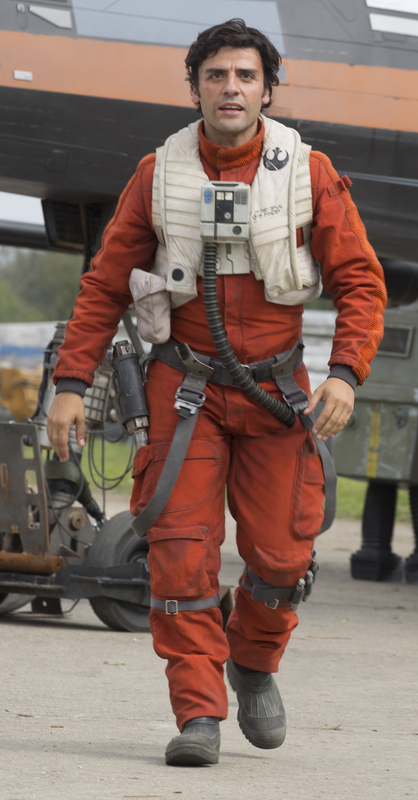 Oscar Issac plays Poe Dameron, the cocky top-gun pilot of the Resistance. Adam Driver is Kylo Ren, a disciple of Darth Vader, whose formidable powers were shaped by a treacherous past. Domhnall Gleeson drips evil as the fascist intergalactic general Hux. Lupita Nyong’o is cool but completely unrecognizable as the alien proprietress of a way-out-there interplanetary saloon frequented by a spectrum of crazy cosmic characters. And the new little bleeping, beeping, cooing, purring “snowman” of a robot, BB-8, is a real scene-stealer. With composer John Williams’ spectacular, swelling orchestral score once again providing the soundtrack, Star Wars has come roaring and soaring back, a fabulous, bountiful, richly rewarding payoff for anyone who’s been waiting, patiently or otherwise. You’ll cheer, you’ll chuckle, you’ll gasp, you’ll be giddy and you’ll maybe—likely—even shed a tear, or possibly two. And come next December, when Disney’s eighth installment, Rogue One, hits theaters, you’ll be back in the ticket line again—won’t you?